Social Posts is a powerful tool for analyzing social content. Learn to find top content, high-engagement days/hours, hashtags, more. 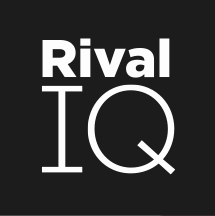 The Social Posts report in Rival IQ displays information for all posts filtered by social channel, tag, and the date range selected in the top settings bar. 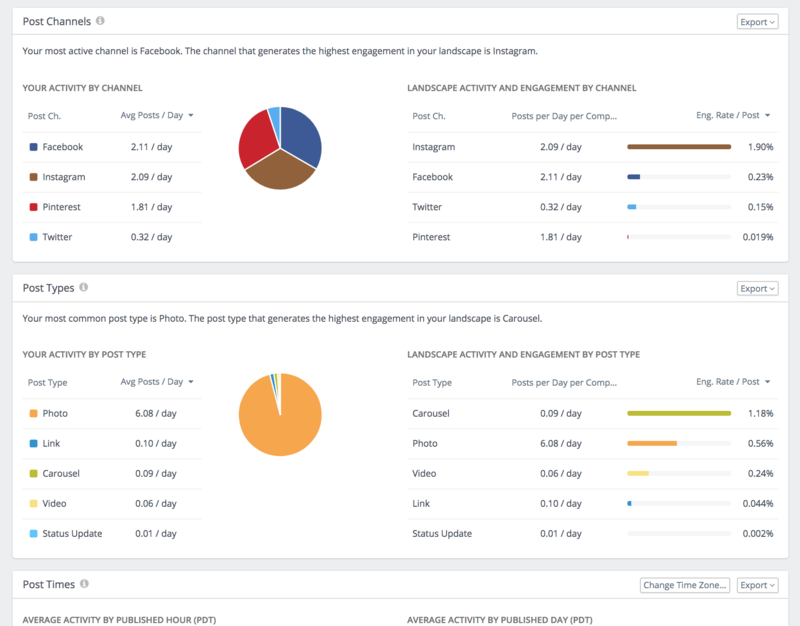 In this section you can search through posts, make competitive comparisons and review performance metrics. Filter the page to only your data by using the tag filter and selecting Only Focus Company (e.g., Glassybaby in the screenshot below). After selecting the tag, all of the data on the screen reflects just your company’s activity and engagement. 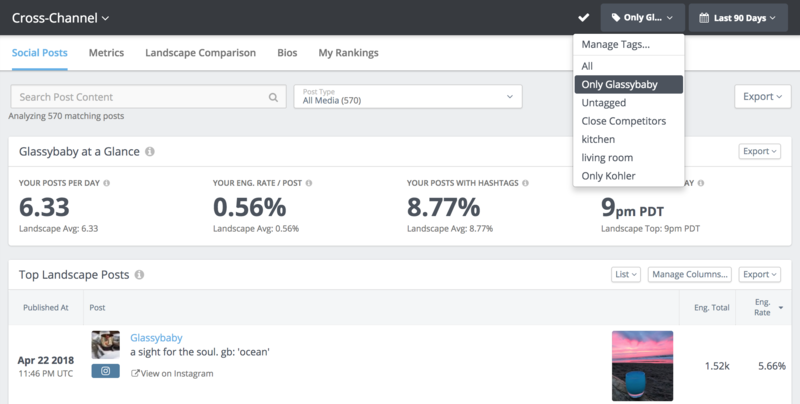 You can quickly view your most engaging posts in “Top Landscape Posts” panel and your most engaging hashtags in the “Hashtags” panel. Using the tag filter for your company only, use the “Post Channel”, “Post Types”, and “Post Times” panels to understand which social channel, post type, and post time receives the most engagement. It could be different from the channel, type, or time you’re currently using! If you're more into video, here's our own Cat Martinez breaking it down for you a little bit more.